Moving is stressful, no two ways about it. You have to transport your whole life from one place to another. There may be lots of emotion coming to the surface. And, then there is the whole money thing. It can be expensive, and if you have to keep spending in check, it is important you plan carefully and do what you can to pare down costs. Here are just a few ways to save money on your move. To save money, it is always a good idea to source pricing from multiple sources. If you are hiring a moving company, get quotes from at least three companies—steer clear of any who want to give you an estimate over the phone, without ever stepping foot inside your home. Carefully review them to make sure you are accurately comparing the quotes. If there are any questions about what is include or not included , be sure to ask. Don’t make any assumptions. If you are planning on doing a move yourself, you will probably need to purchase your own moving containers, which are provided by a variety of moving companies. Shop around for these too to get the best deal. Same goes for any other service that might be related to your move, such as businesses offering specialty moving services for more delicate items, or making any repairs that are necessary to ready the home for the next occupants. If you are like most of us, you have accumulated quite a mass of ‘stuff’ over the years, a lot of which you no longer have use for. You kept telling yourself you would pick through everything, but that time never arrived. Don’t make the mistake lots of people make of simply transporting it all to your next house. Taking the time to go through everything now can be financially beneficial in two ways. 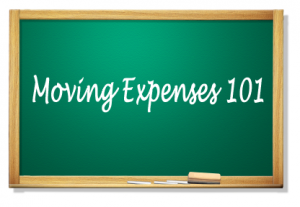 First, you can sell some of it and get some cold, hard cash to put towards the move, and second, the less stuff to move, the less money you have to pay movers, whether they are charging by weight or hourly. This really is a great opportunity to unload stuff that is probably weighing you down energetically. Go to your new location with a fresh start. Don’t bring the clutter with you. If you don’t have a lot, shipping items can be a great money-saver, compared to hiring a moving company or doing the move on your own. The United States Postal Service has really good rates, and its website USPS.com, is very helpful for helping you figure out your costs. If you do go this route, don’t get flimsy on the boxes, lest you risk some serious damage to your goods, especially if shipping long-distance. Get your hands on some brand new cardboard boxes. This tip might not be something that has occurred to you, or you may think movers wouldn’t give away any information that would cut into their profits, but lots would probably be very happy to offer you some tips on home moving services that would pare down expenses, particularly if they think it will help them win your business. So, simply ask for their advice and see what they say. 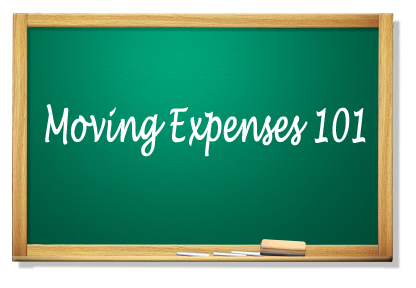 Moving doesn’t have to break the bank; you just have to be smart about it.